The recent decision by the Federal Court of Australia (FCA) in ACCC v JJ Richards & Sons Pty Ltd is expected to empower small businesses to negotiate terms of standard form contracts. It also serves as a timely reminder for large businesses to review their standard form contracts and practices. The Australian Competition and Consumer Commission (ACCC) succeeded in its contention that eight terms in service agreements used by JJ Richards & Sons Pty Ltd (JJ Richards) were unfair and therefore void. The Australian Consumer Law (ACL) provides that an unfair contractual term of a standard form contract will be void. The contract may continue to bind the parties, to the extent that the contract can continue without the void term. What are “unfair contract terms”? it causes detriment to one party if relied upon by the other. The upfront price payable does not exceed $300,000 (for contracts of 12 months or less) or $1,000,000 (for contracts of more than 12 months). The provisions regarding unfair terms apply to standard form contracts only. The ACL sets out various considerations in determining whether a contract is “standard form”. These include the relative bargaining power of the parties, who prepared the contract and whether there were opportunities given to negotiate. It is important to note that once a party to a proceeding alleges that a contract is standard form, the onus is on the other party to prove that it is not. JJ Richards’ service agreement was considered a standard form contract because it was offered on a take it or leave it basis and could not be negotiated by the customer. To prevent customers from terminating the contract if they had outstanding payments, and to continue charging the customer for any equipment rentals. By way of consent orders, the FCA declared all 8 of the above terms to be unfair and therefore unenforceable. The orders provide that JJ Richards is prevented from relying on these terms in future, has to publish a corrective notice on its website, notify all small businesses that were party to its service agreement and implement a program for compliance with the ACL for a period of 3 years. This was the ACCC’s test case for enforcing the newly expanded unfair contract terms regime. 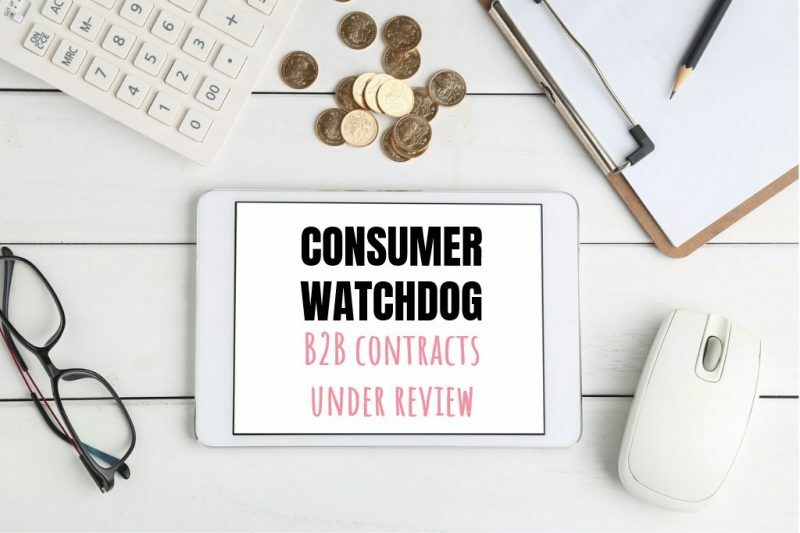 It has made an example of JJ Richards and serves as a general deterrent to the use of unfair terms in standard form contracts with consumers and small businesses. In public statements made after the FCA handed down its decision, the ACCC was not shy to admit that it is actively investigating other large businesses for similar contraventions of the ACL. In the wake of this case, large businesses will need to review their standard form contracts in order to ensure compliance with the ACL and to understand which terms are at risk of being declared unfair. Small business owners can take comfort in the outcome of this case, and should take the time to understand their rights under the ACL, should the need arise to dispute the terms of a standard form contract in future. Pointon Partners have a wealth of experience in the areas of contract law and consumer law. If you require legal advice or have any queries in relation to this article, please do not hesitate to contact our office on (03) 9614 7707.